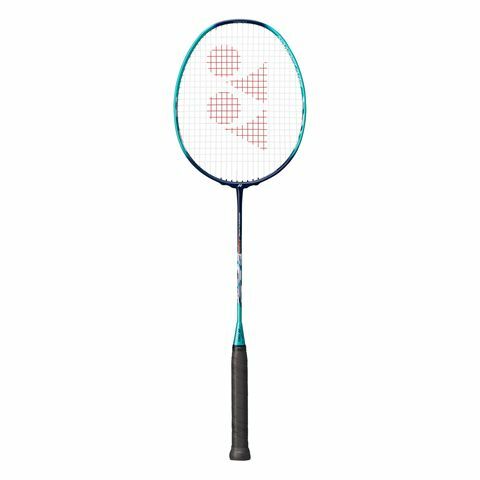 Offering a fine playing parameters for young club players, the Yonex Nanoflare junior badminton racket is a slightly head light choice that ensures a softer, flexible feel on each stroke. 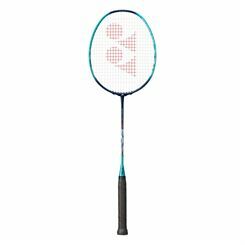 The isometric head style provides excellent shot consistency and more power with a generous sweet spot, whilst the Nanocell Neo technology reinforces the frame for added strength without the reduction of flexibility. 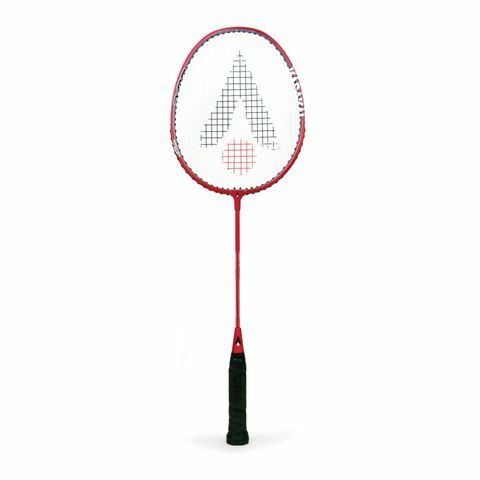 For a torque-free performance, the frame features a built-in T-joint, and the revolutionary Aero Frame technology allows for smoother handling, good control and exceptional stroke speed. 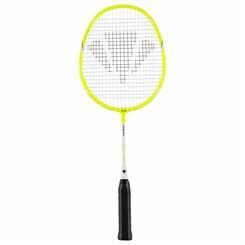 The racquet's best feature yet is the Sonic Flare system which incorporates a remarkable TORAYCAR M40X graphite material to achieve superior stability and higher velocity of the shuttle. 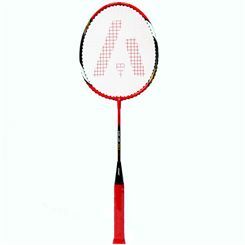 The Nanoflare JR is shipped pre-strung, as well as with a full protective cover. 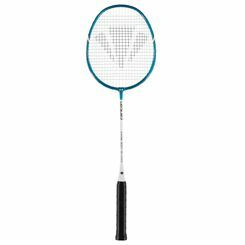 A great choice for the up-and-coming junior players, the Karakal CB-2 badminton racket provides a good balance of power and control. 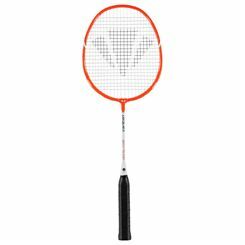 The racket weighs 93g (3.2oz) and has an isometric head shape for a larger sweet spot and more consistent shot accuracy. 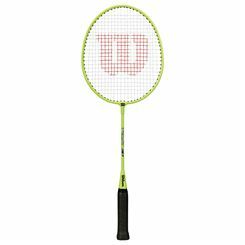 This 24.5” (620mm) racket features extra thick, self-adhesive and super-absorbent Karakal PU super grip and comes with a 3/4 cover for protection. 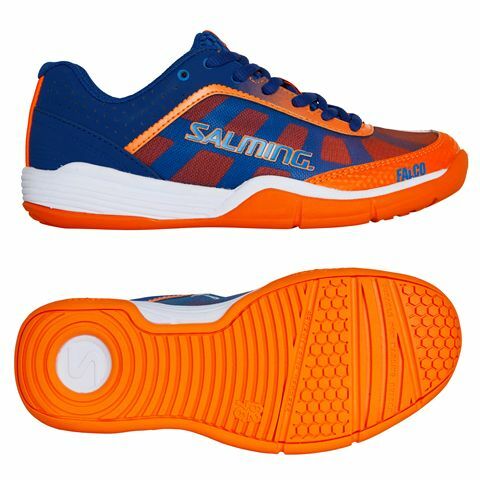 Designed for superior comfort, friction elimination, and upmost stability, the Salming Falco kids indoor court shoes grant a low-to-the-ground feel, to ensure the most responsive experience when moving around the court. The shoes are ideal for kids starting their sports journey, and they provide enhanced stability and support with C35 cushioning inserts in the heel section, as well as Torsion Guide System 62/75™ allowing for a more natural motion. 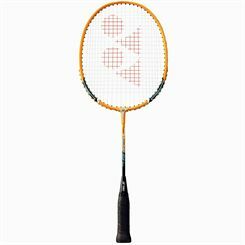 It’s a safe choice for the youngest squash players with extremely durable rubber outsole providing traction, whereas the RollBar™technology prevents the feet from rolling over outwards and causing tension and stress in the joints. 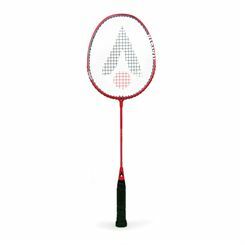 In order to ensure that our younger badminton players develop their skills well, it's important that they have the right equipment. 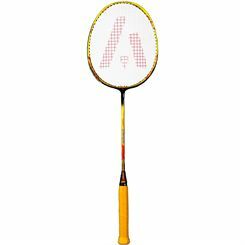 Sweatband.com carry a full range of bandminton equipment specifically designed for junior players, All our childrens badminton equipment priced as low as possible and is delivered free to the UK.